For any basketball fan in 2017, the mention of a father-and-son basketball duo instantly conjures up thoughts of the much-discussed Los Angeles Laker Lonzo Ball and his outspoken father Lavar. But on our own shores, and away from all the hoopla, there is a father-son combo making headway for themselves – without the controversial antics of Lavar and his sons. 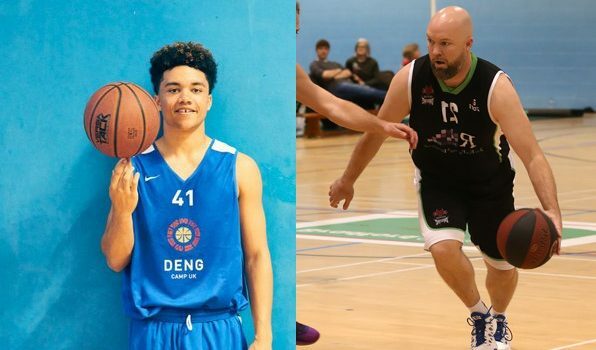 One of British basketball’s top prospects, 18-year-old 6″3 guard Eisley Swaine of NBL D1’s Bradford Dragons recently committed early to link up with Northwestern Oklahoma State University in 2018, a decision that his father, ex-England international Jason, helped play a part in. The younger Swaine has been one to watch for several years now, making the Basketball England U17s squad and twice attending the prestigious DENG Camp, an invitation-only training camp put on by British NBA star Luol Deng each summer for the top 50 young talents in UK basketball. This not only provides an excellent learning experience for those involved, but also an opportunity for NCAA college scouts and coaches to discover prospects such as Swaine. “From the start of being recruited, the coach [of Northwestern, Shawn Dirden] was very forward and he came across as a really good guy,” Eisley says. “I spoke to my dad a lot about it because he plays a big part in a lot of the things I do and I have a lot of respect for him, and he advised me a lot throughout the process. “He has a lot of experience in the game, he’s worked with a lot of people and obviously I’m only young. But even though he helped me a lot, he didn’t take control, he still let me make my own decision. Now 41, Jason is in the latter stages of his illustrious career, during which he represented England on the international stage more than 25 times (including at two FIBA European Championships), and won the BBL League Trophy with the Sheffield Sharks in 1999, and he left the Dragons at the end of last season, the club where Eisley has made his name. This crossing of paths, with Jason in the twilight of his playing days and Eisley at the beginning of his, allowed the pair to become the first NBL father and son duo to take the court together, a special moment for Jason. And like any good father, Jason has tried to pass on to his son some of the knowledge he gained during his 20 year basketball career. “Physically, we’re slightly different as players, but I feel like mentally the mindset of always wanting to get better, always being focused out there and staying a play ahead, is something that he’s taught me from a really young age” said Eisley. Jason added: “Eisley is a totally different player than I am, and a much better player than I am now. He has the same sort of feel for the game that I have, but I think with a lot of kids, the mindset of being able to take criticism and the challenges put in front of you and the need to stay confident, I continue to ask that of him. And having experienced so much through his storied career, Jason was also in a position to help advise Eisley on his decision to play overseas. “The decision to be able to commit this early was a big thing. I knew the coach through a few people, and that meant I could sort of assess Eisley’s situation there and the sort of people he was going to be dealing with, and that was a good thing. Eisley will play out the remainder of the season in the UK, playing for the Dragons, as well as Queen Ethelburga’s College in York, before joining up with the NWOSU Rangers in the summer of 2018, and he is understandably eager to get started. 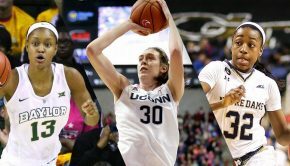 “I’m just looking forward to the change, I think it’s a big step and its always been a dream of mine”, the 6”3 guard said. “I can’t wait to go out there and meet the competition head on, to play hard and just compete every single day, work on my skills and improve. Hopefully I can come out of it individually as a better player, but I just want to help the team. Jason, who has now turned his attention to Masters’ basketball, is far too humble to make any brazen, Lavar Ball-like predictions that have got his son Lonzo into so much trouble over in Los Angeles. Instead, his focus for Eisley is much more simple.